Never one to shun the spotlight, Tagliavento gave out eight cards in all, including a second yellow and thus sending off to Romagnoli in the 89th. It’s difficult to argue any of the cards, they all looked like book-able offenses. But curious how other refs may not have been so generous with the cards and still got the job done. Although I thoroughly appreciated Tagliavento's “Jack-Be-Nimble” impression in the 85th in jumping over the ball, so bonus points for that. Locatelli was amongst those receiving Tagliavento’s generosity, and will thus be suspended for card accumulation against Napoli on Saturday. It’s going to be tough without both he and Romagnoli. And the way Romagnoli’s mouth was moving as he was sent off, I would not be surprised if his suspension goes beyond a single game. 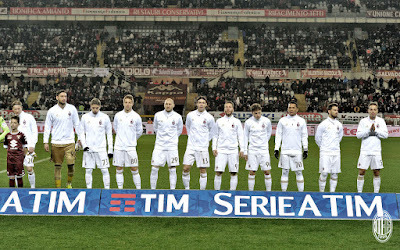 With Milan shaky from the start and errors we don’t usually see, it really wasn’t a surprise that Torino scored first. 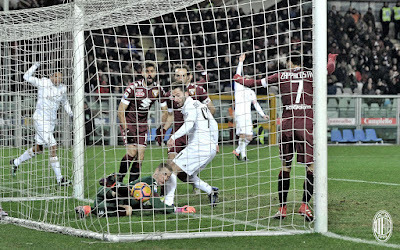 Or that it was Belotti, either, with a scrappy goal in the 21st. 1-0 Torino. Hart answered back with one of his six saves of the night, then Benassi scored another scrappy goal in the 26th. 2-0 Torino. And as if that weren’t bad enough, Abate fouled Barreca in the box in the 31st, so Torino were handed a penalty. 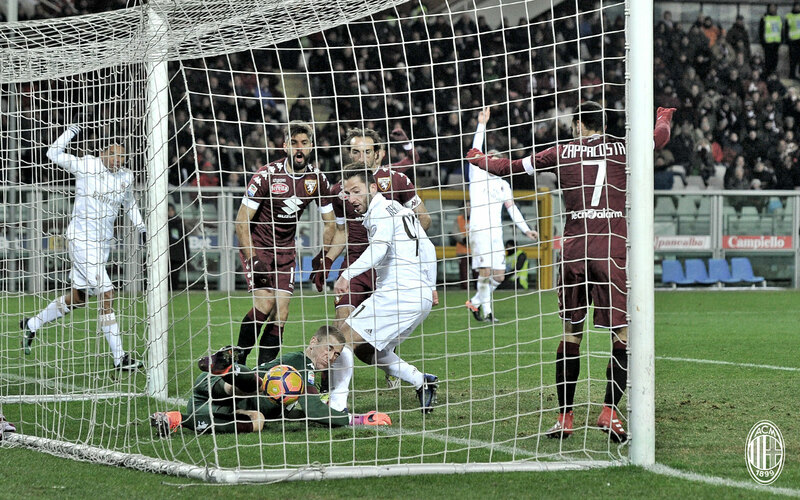 Despite the fact that Belotti was supposed to take it (and had a penalty famously saved before by Donnarumma,) Ljajic insisted on taking this one. And it was also epically saved by Donnarumma. That is three penalties faced in the league this season by Donnarumma (two from Torino,) and three penalties saved. Untouchable. The penalty save did slow Torino down a bit, but not enough for Hart to miss. He had a brilliant fingertip save on a Suso shot that was curling in in the 38th. Easier was the shot Bertolacci took right at him in the 44th. As I mentioned previously, he had six saves in this match. And Donnarumma had five. Eleven saves and four goals. It was absolutely an intense match. Yet Milan are still needing to be more clinical again. They fired off 23 shots, but only eight were on target. Immediately after that, Torino thought they scored another, but Benassi’s goal was offside. There was no mistaking in the 59th when Rossetini took down Paletta and was given his yellow for it, while Milan were given a penalty. Bacca stepped up to take it, made no mistake, and it was the equalizer for Milan. 2-2 all. The rest of the match was a blur of Montella’s late and largely impotent subs and also amazing shots and saves from both sides. Oh, and more cards. 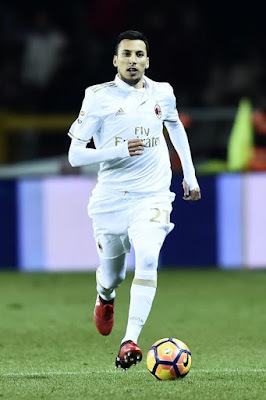 Montella mentioned he was angry with Niang, who was on the pitch for all of eight or nine minutes. Okay. I’m sure us drawing was all his fault. Whatever. Playing at the newly renamed Il Grande Torino stadium, we drew with a team that we beat on Thursday. So we obviously weren’t at our best. Montella should be grateful he’s not got Mihajlovic’s problem. Torino were leading by two points up until the 55th, then choked, a common thing for them this season. In fact, Mihajlovic was so angry, he punched a whole in the advertising boards when leaving the pitch, which apparently mildly injured a nearby steward. I can’t blame him. I’m just grateful that we didn’t drop all three points, a fate that seemed too likely from early on. Leonel Vangioni. Not just a myth, he played like seven whole minutes. This wasn’t a great result, though. 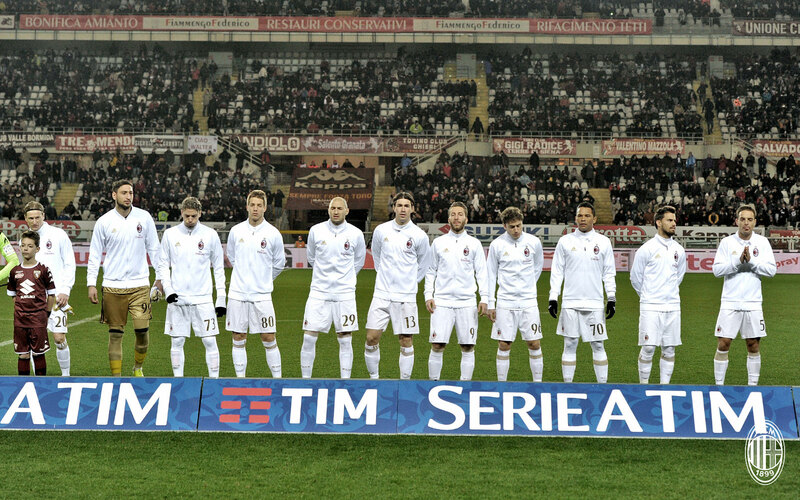 We face Napoli on Saturday and Juventus in the Coppa Italia a week from Wednesday. The win would have done wonders for our morale, the three points helping us stay in the top five. And having Locatelli & Romagnoli available for Saturday would have done wonders, too. Mihajlovic should be angry, but they did help us give up two points and pushed us into losing two strong players to suspension. So I guess that was a little bit revenge-ish.